The Financial Supervision Commission has approved a minimum rate of return of 4.79 % on an annual basis, resulting from the management of the Universal Pension Funds’ assets for the preceding 24-month period considered from 31 March 2009 till 31 March 2011, while for the same period of time the minimum rate of return for the Occupational Pension Funds has been determined at 4.90% on an annual basis. - following consistent effords of the government to achieve fiscal discipline, Bulgarian government debt remains among the three lowest in the EU, registering by far the greatest decline in percent of GDP in the past decade as compared to the rest of the EU. The Financial Supervision Commission has approved a minimum rate of return of 3.38 % on an annual basis, resulting from the management of the Universal Pension Funds’ assets for the preceding 24-month period considered from 30 December 2008 till 30 December 2010, while for the same period of time the minimum rate of return for the Occupational Pension Funds has been determined at 3.27% on an annual basis. Poland`s parliament, in a move strongly opposed by the NSZZ Solidarnosc union, cut contributions to private accounts by a third, diverting that money to the public system at a cost of $2.3 billion a year. France and Ireland were less heavy-handed, but also aimed to avoid austerity. Both siphoned public savings set aside for future years of pension payouts to the spending spigot. In Ireland`s case, they spent money citizens contributed for retirements to bail out banks, while in France`s case, to pay for underfunded current pensions. The Financial Supervision Commission has approved a minimum rate of return of -2.49 % on an annual basis, resulting from the management of the Universal Pension Funds’ assets for the preceding 24-month period considered from 30 September 2008 till 30 September 2010, while for the same period of time the minimum rate of return for the Occupational Pension Funds has been determined at -3.14% on an annual basis. The Financial Supervision Commission has approved a minimum rate of return of -6.20 % on an annual basis, resulting from the management of the Universal Pension Funds’ assets for the preceding 24-month period considered from 30 June 2008 till 30 June 2010, while for the same period of time the minimum rate of return for the Occupational Pension Funds has been determined at -7.27% on an annual basis. The Financial Supervision Commission has approved a minimum rate of return of -6.63 % on an annual basis, resulting from the management of the Universal Pension Funds’ assets for the preceding 24-month period considered from 31 March 2008 till 31 March 2010, while for the same period of time the minimum rate of return for the Occupational Pension Funds has been determined at -7.77% on an annual basis. With respect to FIAP`s specific objective To identify the measures that mitigate the effects of the financial crisis on pension systems based on individual funding through a Compared Regulations study on pension fund investment in infrastructure, FIAP recently published two documents on the subject, prepared by BBVA Group`s Economic Research Department. The purpose of this study is to provide a detailed account of the experience of Latin American pension funds in financing infrastructure, as a basis for reflection on potential improvements that would enable optimizing pension fund portfolios and enhancing the contribution of pension savings in the development of countries. 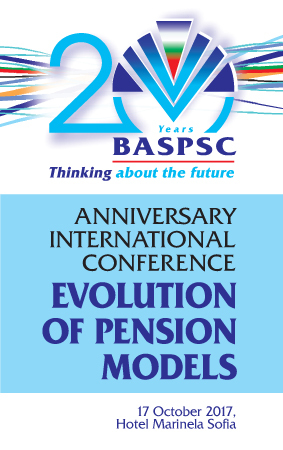 This research has several objectives: firstly, to highlight the importance of investment in infrastructure for economic growth; secondly, to underscore the need for a competitive and transparent process for implementing these investments, which must aim at efficiency and obtaining a suitable balance between private and social benefits; thirdly, to identify the potential of pension funds as a source of financial resources that can be channeled towards the development of infrastructure, and finally, to quantify the impact that the destination of these funds could have on the long-term growth projections of a country. The Financial Supervision Commission has approved a minimum rate of return of -10.52 % on an annual basis, resulting from the management of the Universal Pension Funds’ assets for the preceding 24-month period considered from 28 December 2007 till 30 December 2009, while for the same period of time the minimum rate of return for the Occupational Pension Funds has been determined at -12.09% on an annual basis.